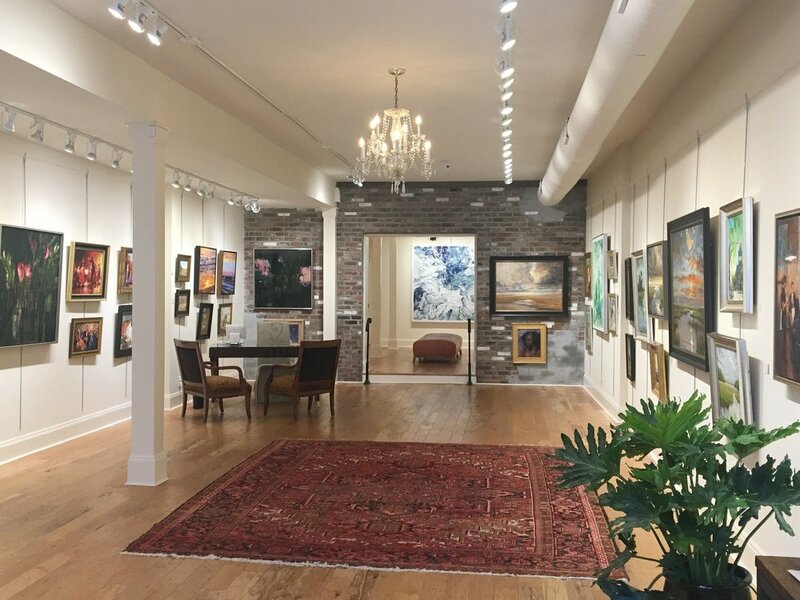 Our 183 King Street gallery is ideally suited to host events from small gatherings to large dinners and receptions, There are two main rooms connected by a large but open brick archway. The front room is approximately 1,100 square feet and the back room is approximately 600 square feet. Additionally there is ample prep area in our supply room for caterers and event suppliers that gives them easy access from the rear driveway. The space is available 7 nights per week after 5:00pm. Caterers and event planners may begin setup as early as 4:00pm but we can not close the gallery to the public untill 5pm. Rental rates start at $1,100 per evening. We also require a $150 cleaning fee and a $100 staffing fee ($1,350 total). For larger events we can include our other gallery at 184 King St. (across the street) which boasts another 1,600 square feet of open space for an additional $800 rental fee for your evening. Additional staffing fees of $100 and cleaning fees of $150 would also be required for the second space ($1,050 total). We can arrange, by request, to have an artist present at your event to create a peace to memorialize the evening. Fees varies by artist but typically range from $1,000 to $4,000 depending on the size and type of the work desired. For additional details or to check our availability please use the "Submit a Question" or call the gallery at 843-452-3935.